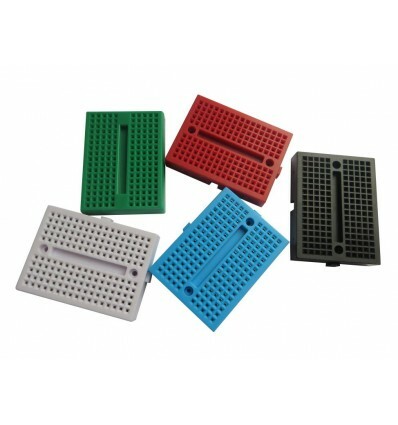 These multi-coloured 170 Tie Point Breadboards are ideal for prototyping circuits, but can also become permanent additions with their adhesive back strips. 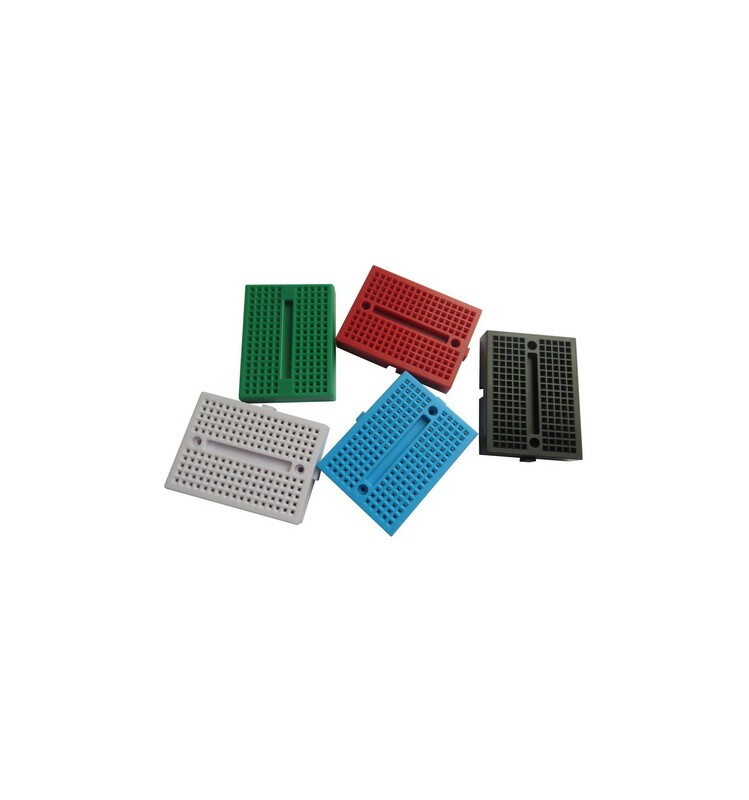 These multi-coloured 170TP Breadboards are ideal for rapid development and Prototyping, and offer an easy-to-use PCB with pre-connected points so that you simply have to plug in breadboard jumpers, IC chips and other Electronics Components. These breadboards have tie points that accept 2.54mm pitch wires and components and are connected as rows, allowing you to design a circuit without having to solder or commit to an idea. With breadboards, you can try a wide range of variations of circuit layout and design, as they can simply be unplugged and plugged back in elsewhere. This ensures that you can experiment to your heart’s content before deciding on a final design format. Additionally, these breadboards don’t have to be temporary, and actually include an adhesive backing so that you can stick it directly onto free space on a PCB and integrate it permanently into a project. Creating an LED matrix with basic circuitry, flashing patterns or reacting to sounds or surroundings. Building a permanent power supply with an on/off button to conveniently plug into projects. Making a simple infrared Remote Tester, which flashes an LED when it receives IR signals to tell you when a remote is out of power. These small 170TP Breadboards are excellent for prototyping and rapid design, and can help Makers experiment with various custom-design circuits. However, the small size ensures that the costs are kept low, so that you can afford to invest in as many as you think you will need.